I have put together a couple of candles, wax melts and air fresheners that I have and know they smell amazing! I love that these sorts of things can really change your mood into a Christmasy mood in a matter of seconds. 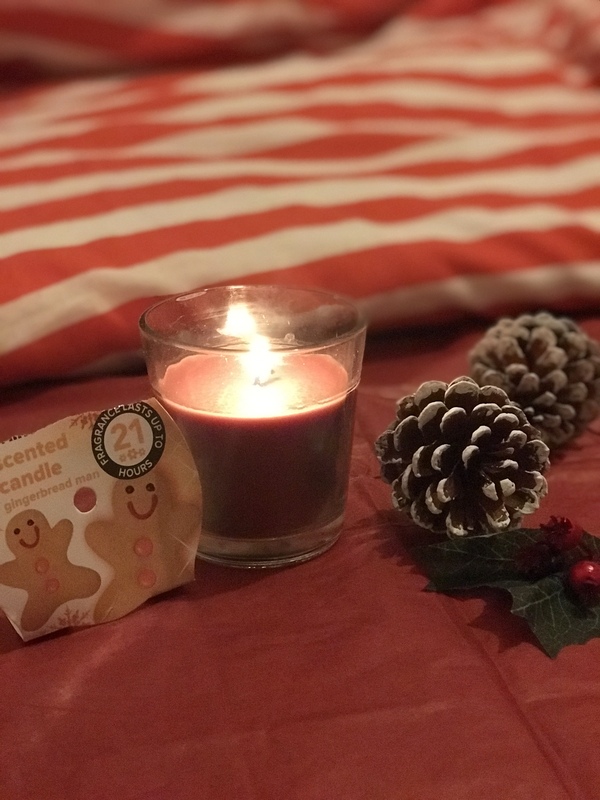 I love this candle, 1) because I smells so accurate to a gingerbread man that is is slightly confusing how they have got it so accurate and 2) it was £1!!!! £1 is such a good price fora candle and it may not be the biggest size candle ever but it does smell amazing and therefore can go out and repurchase it. I would 1000% recommend getting this candle as it is £1 and you can’t really go wrong with a Christmas gingerbread candle can you? They also have another candle which is apple and cinnamon but I have so many of those scents that I wanted to try something different. They are great for blog pictures also! THIS SMELLS INCREDIBLE. I got this one from Asda and they are normally on offer for around £2 but they last such a long time. I always like to keep these fragrances in my room, just to give my room a good spray every now and again and they last forever. I have two others ones that I used throughout the summer that I still haven’t used up yet. THIS SMELLS AMAZING and it smells and is also so accurate to how Bucks fizz smells, so every time I smell it literally smells like Bucks fizz. I like spraying this before I go to bed as it is a cheerful fruity smell that I think is nice to have lingering in your room before you hit the hay. This is another candles that I absolutely love. I was actually burning this one throughout the whole of October and November and I am just less than half way. It has such a strong smell that fills up your room with such a warm christmasy smell and I LOVE IT. It doesn’t smell as much like gingerbread as the other one does, but this on has more of a spicy smell to it. I think this was £2 from savers, but it is definitely worth the money as these little candles do really kick up a scent. 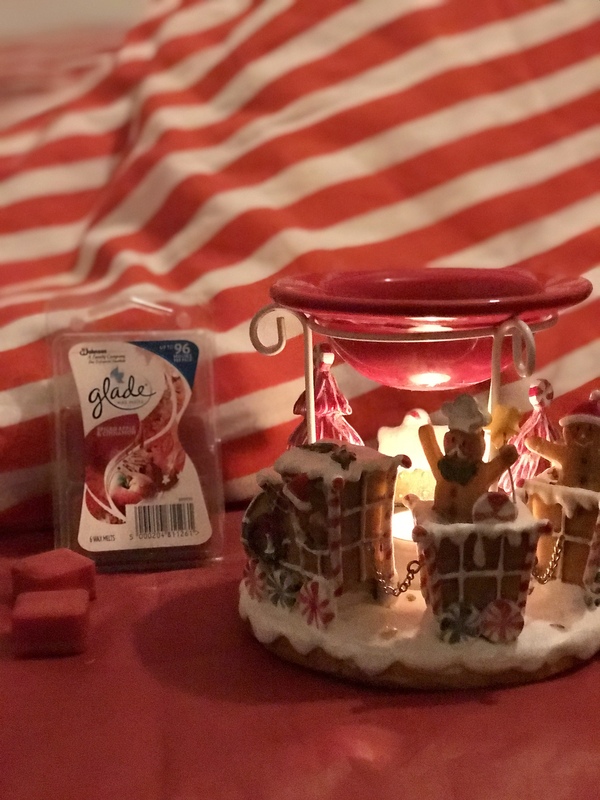 I think the packaging for this air freshener is so festive and really cute so well done Glade for getting those packaging points. This is a newer one that I have discovered and it smells really nice. 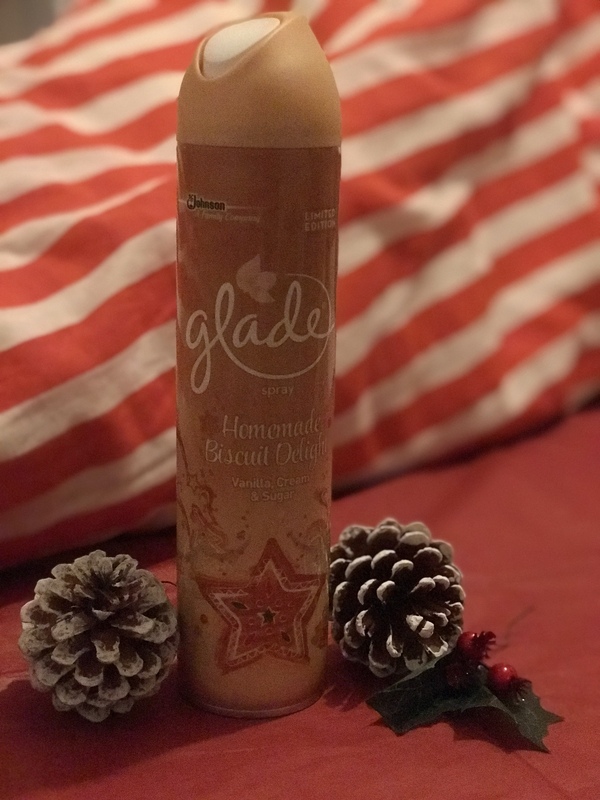 It has such a sweet scent that i really like, normally christmasy scents can be really warm spicy smelling but I like that this one is different. It has a really sweet vanilla smell which I like, it is nice and refreshing. If you aren’t into the warm spicey smelling scents then this one is good for you and it was only £1 from Wilkos again. 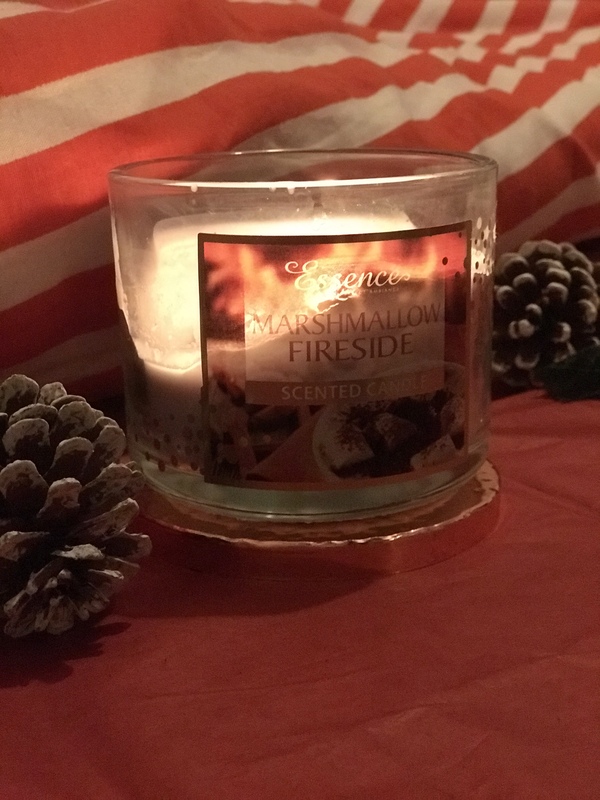 I did a whole post on this candle so if you want to read it in more detail then click here bit this candle is literally a Bath and Body works dupe , which makes me happy because I need more Bath and Body works in my life but also makes me sad that we don’t have a store here in the UK. This candle is a two wick candle, which is even better and they last a life time. They are such big candles and have a really nice scent to them. I got this one for £3.99 but it really is worth the money. My sister moans every time I light this candle as she doesn’t like the scent, but I LOVE it!! This has been an essential for Christmas time since as long as I can remember. Every year when these start hitting the stores my mum is always first to grab a couple. These are so so good and you literally need them, forget your milk or your toilet roll this is more essential haha.. 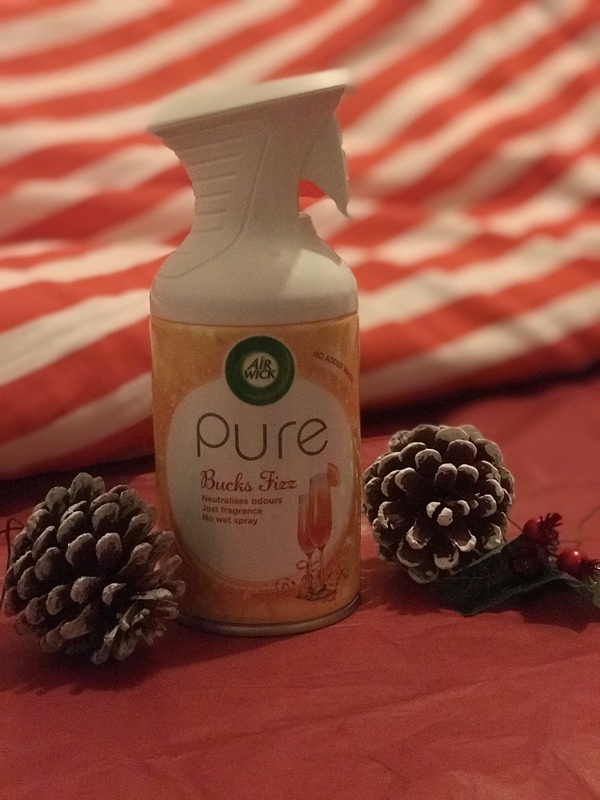 These air fresheners are always on sale for like £2 which is really good as they last forever, this one is actually from Aldi but we normally get the one from Tescos. They can get you in a christmasy mood within seconds and that’s why I love these so much. It is Christmas in a bottle lol. All of the ones that I have aren’t christmasy, but I wanted to include this anyway. These little candles are great and you can pick them up from pretty much any Asda or Tescos. They are little Yankee candles that are a bit bigger than tea light candles but smaller than your normal average sized candle. I would suggest putting them into a little candle holder because when you burnt them, they melt quick and they spread outwards ( you know when something melts, it like goes flat, well yes that is what I am trying to describe ) In Asda they are about £1 and they have such a big variety. 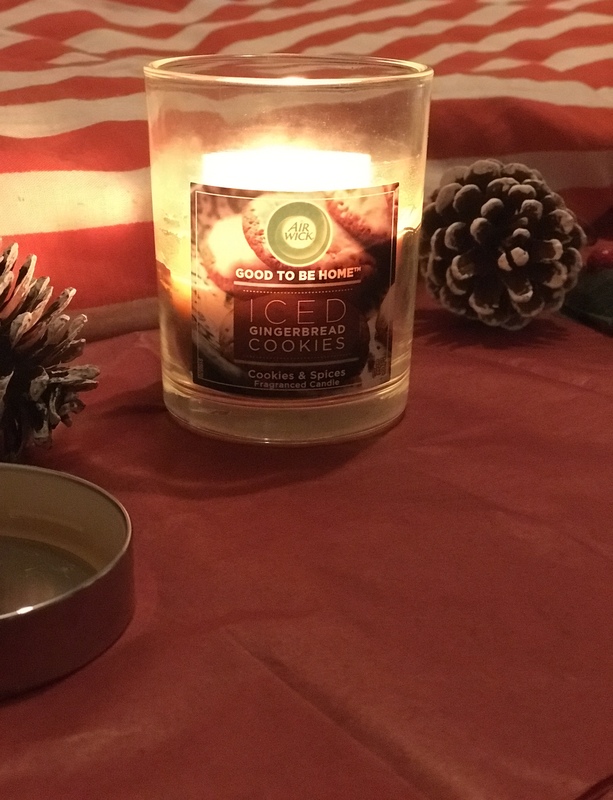 They have a candle for every scent, I really like their Christmas Candy Cane ones and their Christmas Wreath ones. I would 100% check these out as you can get them from pretty much every where, they last a good amount of time for the size that they are. For a little homely touch, these are good little candles. Of course this wouldn’t be the same if I didn’t include this…. I brought a Christmas air fresher for my car because, because why wouldn’t you?! I hope you have enjoyed this post, because I am so excited about it. What are your favourite Christmas scents, and did I miss any?! I just messaged on Twitter saying I literally was just looking online for these haha!!! I really want to go out now and find them! 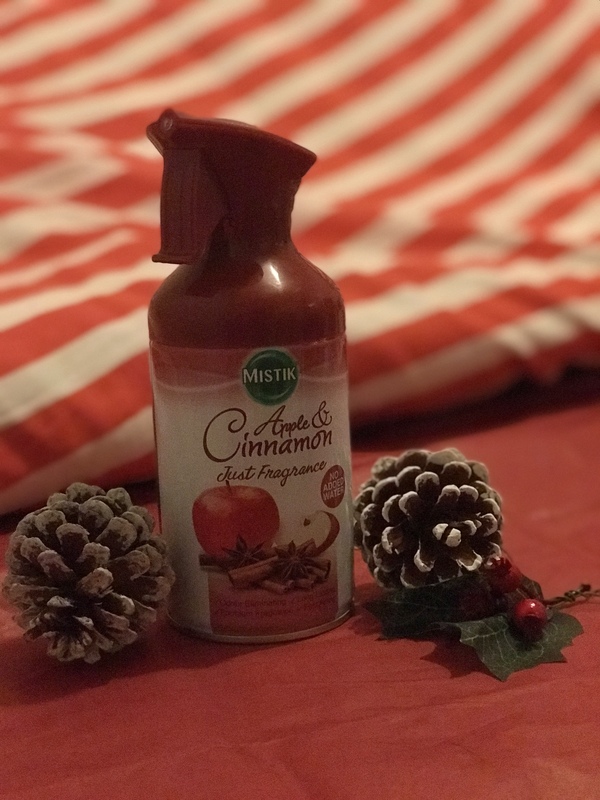 I have one rooms mist that smells like gingerbread cookies.. it’s absolutely divine! Ohhh!! what one is that?